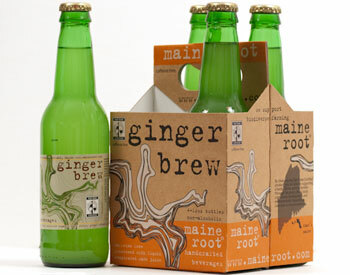 Austin From Scratch: An Interview with Matt Sieler, Founder of Maine Root Handcrafted Beverages | Shafer...Power! Austin From Scratch is our favorite series on the blog and involves Owen (age 8) and Malia (age 6) interviewing local entrepreneurs who have created a thriving business here in the heart of Texas. 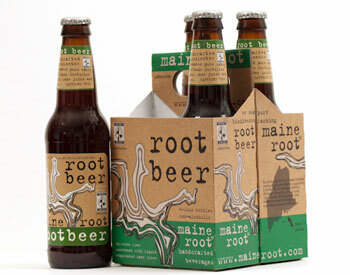 For this session, we sat down with Matt Sieler, Founder of Maine Root Handcrafted Beverages. 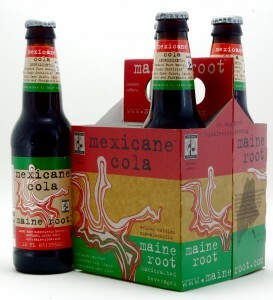 The kids chose Maine Root because they love their Root Beer and, fortunately, their founder lives right here in Austin, TX. We hope you enjoy! I went to a traditional school just like you do….went to kindergarten and then to regular school…but a lot of it was growing up in a neighborhood and that was how I did a lot of my learning. Each family in my neighborhood had three or four kids, so we were part of a pack…a wolf pack is what I used to call it after we got out of school. There was a lot of interaction with older kids and a lot of peer-to-peer learning. We make handcrafted beverages from recipes that I came up with and devised over the years. And it’s a small batch process that we do for each run. So it really is handcrafted…we mix the sugar, we mix our extracts and ingredients. The only aspect that is automated is the bottling and the caps. Also, I try to make it (the business) as sustainable as possible and that it includes the way we purchase our ingredients, the way we ship our products, the way we source our ingredients and the way we distribute them. When I was your age…about 8-years-old, a friend and I got a cooler and filled it with popsicles. We went down to the beach and we sold them for fifty cents each and we went from one end of the boardwalk to the other. And by the time we got to the end, we had each made twenty dollars…in about two hours. And I remember holding the money in my hand and thinking if you work hard and have a good idea…you can make some money. My favorite thing is the independence you have to make decisions on creative new ideas and I also enjoy the flexibility of my workday…especially because it allows me to spend time with my family. The fact that there is no safety net. In other words, there is nobody that’s going to bail me out if something goes wrong. Everything is on my shoulders. That’s probably the scariest part. 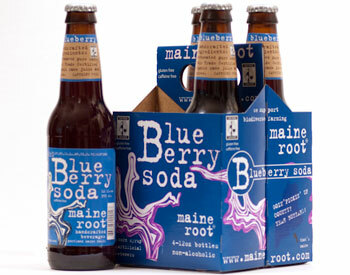 What would you be doing if you weren’t running Maine Root? That’s a great question. Before I started the company, I was building wooden boats up in Maine. So I would probably be running my wooden boat shop in a barn with a couple other guys. That’s probably what I would be doing. 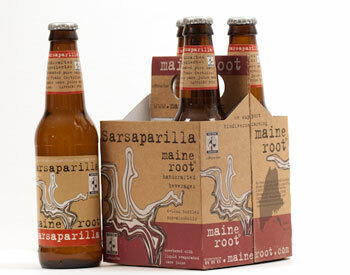 What is your favorite Maine Root beverage? I’d have to say it’s the Pink Drink. It’s made from prickly pear cactus juice….have you ever seen a pricky pear cactus? It’s a cactus with the red fruits on it. We pick those red fruits with salad tongs because there’s spikes all over them…and we get the juice out if it, which makes the red color, and mix it with agave, carbonated water and lemon juice and it makes that great beverage. Yes, start young and learn the basics…how to handle money, what your costs are, what your expenses are and try to balance those in order to make a profit. At a young age, it’s good to know how much it costs to make something, what you should sell it for and how much extra is going to be left over…that’s your margin or your profit. And that’s my advice. I was working at a restaurant…waiting tables at a friend’s place…and he served all-organic natural pizzas. But the sodas he served at the restaurant were Coke and Pepsi and they had all these artificial ingredients in it and I said, “let’s do something for the drinks at your place that matches your menu.” So I came up with a Root Beer recipe and we started serving it at his restaurant and people really liked the flavor. So we started serving it at other restaurants in Portland…up in Maine…and then some local grocers found out about it and they wanted to put it in their stores. And then a distributor picked us up and put us in more grocery stores and now you can find us in every state. Can I ask two more questions? What’s the first, second, third and fourth drink that you made? First I made Root Beer and then Sarsaparilla and the third one was Ginger Brew and then I made three at once: Blueberry, Lemon-Lime and Mandarin Orange. We made those all within three weeks and bottled them up and took them to a trade show. OK, one last question…if you were to make a new drink, what would it be? That’s a good question and one that a lot of people ask us. My mom loves grapefruit soda and so that’s one drink we’re considering. I’m not sure when we’ll do it but I’d like to give it a try sometime in the next year. And we that, we went back for more delicious samples (yes, there were plenty before we even started). Thank you Matt! ← Something Old, Something New: An Update From Shafer…Power!